Morphine is an opioid drug used for the treatment of severe pain. It is often used during labour as well as for acute and chronic pain associated with illness, trauma, and surgical procedures. However, morphine is a highly addictive drug and those who take it in higher than recommended doses or for a prolonged period are in danger of developing a dependence followed by addiction. There is also a higher risk of overdose for those who abuse the drug. Once an addiction develops, professional help is usually required to get better. Morphine is a pain medication that is part of the opiate class of drugs found naturally in certain plants and animals. The drug works to relieve pain by acting directly on the central nervous system to bind and activate certain opioid receptors, thereby desensitising the brain to pain signals. The signals are either reduced or completely blocked. Addiction treatment centres across the country are seeing increasingly more cases of morphine abuse and addiction. As abuse of prescription painkillers increases, it is fast becoming a national crisis in need of real solutions. According to the BBC, nearly 24 million opioid prescriptions were written in 2017 alone, many of them being prescriptions for morphine. Perhaps you were one of those people who obtain a prescription from your GP. If not, maybe you are among the more than 2 million working-age adults in England the BBC estimates have taken prescription painkillers not prescribed for them from 2016 to 2017. At any rate, morphine abuse and addiction are very real. People across the UK are suffering through them. There is help by way of professional treatment that gets to the root causes of addiction in a scientific yet holistic way. The NHS describes morphine as “a strong pain killer… used to treat severe pain, for example after an operation or serious injury, or pain from cancer or heart attack.” The NHS also explains that morphine may be used as a substitute for other painkillers that no longer prove effective. It is legally available in the UK only by prescription. Morphine was first isolated in the early 1800s by a German pharmacist named Friedrich Sertürner. Not only was Sertürner’s accomplishment important from a medical standpoint, but it also marked the first time that an active ingredient from a plant was isolated for commercial pharmaceutical purposes. The primary source of morphine is the opium poppy. Hundreds of tonnes of morphine are produced every year by isolating the compound from poppy straw. In addition, almost every other non-synthetic opioid on the market is derived from morphine. This includes heroin. How Can Morphine be Addictive? When morphine enters the system – whether by injection, ingestion, inhalation, etc. – it travels to the brain, where it begins activating opioid receptors. This does several things. First, it slows down the rate at which some of the chemical transmissions in the brain occur. Second, it inhibits or totally blocks pain signals. Third, it encourages the production of endorphins. Endorphins are brain chemicals that are partly responsible for producing feelings of pleasure. They are also involved in controlling pain. It is believed that increased endorphin production related to pain modulation also activates the brain’s pleasure receptors by simultaneously encouraging dopamine production. This is what leads to addiction. The pleasure centres of the brain obviously respond well to the increased dopamine. Over time, the brain can become so stimulated by morphine and the associated dopamine production that it relies on the drug to experience pleasure. This is the point at which dependence occurs. Untreated dependence ultimately leads to addiction. Morphine and diamorphine (heroin) are among the most abused opiates in the UK. In England and Wales, more than 1,200 reported deaths were linked to morphine/diamorphine abuse in 2016. From 1993 through 2016, more than 17,400 people died as a result of using these drugs. When the data is examined to reveal the number of deaths relating to drug dependence between 1993 and 2016, more than 7,300 cases involve either morphine or heroin use. This is not to say that morphine or heroin directly caused the deaths, but that those people whose deaths were reported were also considered drug addicts who may have been dependent on morphine or heroin. Note that the statistics consider both morphine and heroin together. That’s because heroin is a derivative of morphine. It is a more powerful drug that is made by introducing certain kinds of chemicals, like acetone and acetic anhydride, to morphine. Opiates are almost always used as painkillers. They have been described by some people in the medical profession as ‘super painkillers’ because of how well they work. Opiates might be prescribed to help deal with the pain of cancer and its subsequent treatments. They might be prescribed to deal with the pain of a serious injury or following surgery. There are other cases in which morphine might be prescribed that do not necessarily involve injury or surgical procedures. For example, it is sometimes prescribed to address the pain of myocardial infarction (heart attack). Prior to 2006, morphine was the traditional treatment for a condition known as acute pulmonary edema. In the last 10 years however, medical science has found better treatments for this condition. To truly understand the morphine abuse problem in the UK, it is important to note that morphine is considered the standard by which most other painkillers are judged. Remember that morphine was one of the first commercially viable opiates on the market. It has been used by healthcare professionals to help manage pain for more than 150 years. Tends to be the opiate of choice for satisfying cravings. It is not an illicit drug like heroin, so it is easier to get from a doctor by complaining of chronic pain. If that fails, you can get morphine on the street or from the black market. It is a socially acceptable drug due to its association with relieving chronic pain in a clinical setting. Morphine dependence and tolerance follow much the same route as dependence and tolerance of other drugs. It starts when a person derives an unusual amount of pleasure from taking the drug. This guide has already discussed the mechanisms behind morphine use, how it encourages endorphin production, and how dopamine triggers the reward centres of the brain. Linking this mechanism to tolerance will help us better understand morphine dependence. Like any other psychoactive drug, morphine’s effects on the brain are only temporary. While the drug is active in the system, the brain attempts to compensate for it by producing other chemicals to counter its effects. Eventually the brain gets rather good at doing so. This creates a scenario in which the user must take more morphine in order to experience the same effects. This scenario is the condition we know as tolerance. Once a person’s body begins to tolerate morphine, he or she needs to take more of the drug for it to continue working. The more morphine used, the greater level of tolerance the person’s body develops. Eventually it gets to the point where the affected individual needs regular doses of morphine just a function. The person will also crave the drug in between doses. This is the point at which a person is considered dependent. Studies have shown that the chances of tolerance and dependence increase the longer a person uses morphine. As such, doctors are generally reluctant to prescribe the drug for treating long-term chronic pain. There are times when doctors may substitute morphine with another drug for continued pain management at a lower risk of abuse. Morphine is one example. Morphine is not as powerful as morphine, but it is still effective for mild to moderate pain. Depending on the type of pain a person is experiencing, a doctor may substitute another kind of drug entirely. For example, ibuprofen is a nonsteroidal anti-inflammatory (NSAID) that can relieve arthritis pain as well as the pain related to most musculoskeletal injuries. Amitriptyline and gabapentin are two more drugs that may be prescribed for pain relief, though that is not the primary function of either. Every psychoactive substance has negative effects on both the mind and body. 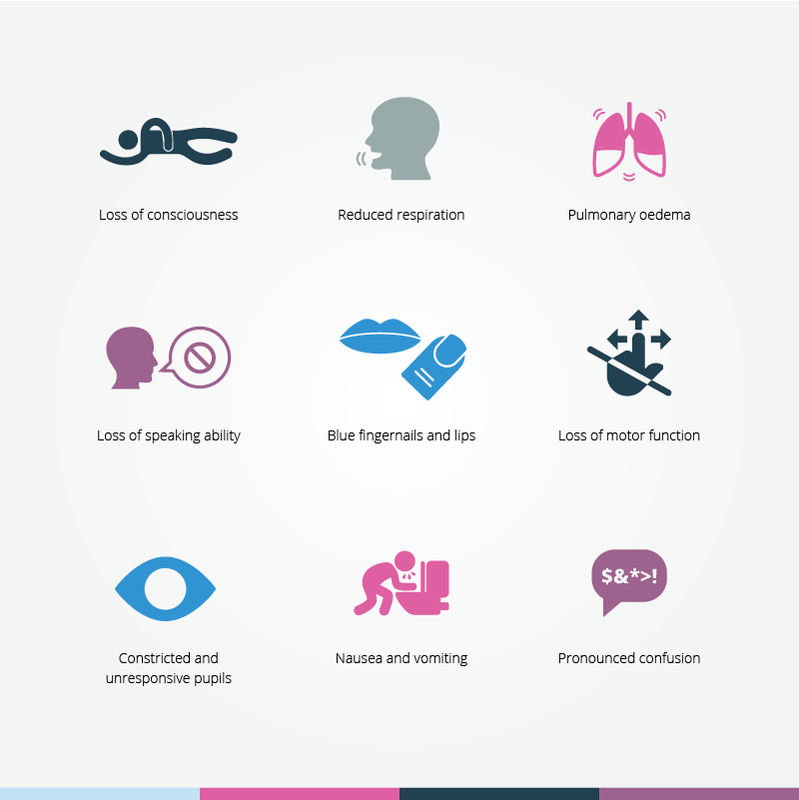 The dangers of morphine addiction are directly related to these negative effects. In the short term, morphine can induce certain side effects that could prove dangerous – even fatal in some cases. Morphine slows the breathing, inhibits normal heart rhythm, and can lead to dizziness, confusion, agitation, and seizures. In the long term, the dangers of morphine addiction go beyond just physical side effects. For example, it is quite common for morphine addicts to ignore their health. They lose all interest in taking care of themselves in everything from hygiene to diet and seeking medical help for other conditions. Morphine addiction leads people to lose interest in their family and friends as well. Personal relationships suffer, and many have a challenging time remaining employed or continuing with schooling. They make obtaining and using morphine the number one priority of the day. This can lead to additional problems including criminal activity and violence. The dangers of morphine addiction are all related to how this drug creates and exhibits dependence. Over a long enough period of use, the cravings for morphine can become uncontrollable. The more morphine a person takes, the more danger it presents. The most serious risk of morphine overdose is brain damage. Because morphine can reduce respiration and cause pulmonary edema, the brain is at risk of not receiving enough oxygen to properly function. Oxygen deprivation could lead to temporary or permanent brain damage. As such, a person suffering from morphine overdose must constantly be monitored to make sure he or she is breathing. Other risks of morphine overdose include reduced heart rate and blood pressure. A loss of consciousness could result in injury if a person falls as a result of passing out. In the absence of a loss of consciousness, confusion and dizziness can combine with loss of motor skill to lead to falls or other kinds of accidents. Seeking medical care for morphine abuse and addiction can be considered at a number of different levels. First is when to seek medical care due to suspicion of abuse or addiction. Morphine is no different than any other psychoactive substance in this regard. At the first sign that a person is abusing or addicted to morphine, medical care should be sought. A person suffering from morphine addiction will exhibit a number of signs and symptoms common to most forms of drug abuse. These include morning cravings, withdrawal symptoms in between doses, financial problems, “hunting” for morphine, loss of interest in hobbies, activities, work, relationships. Morphine abuse and addiction are medical problems requiring medical intervention. So again, exhibiting any of these signs or symptoms is sufficient motivation to seek medical care. On the street, morphine is known by many different names. Some of those names relate to a particular form of the drug or its colour. For example, morphine tablets are often called ‘white lady’ because of their colour. The fact that the tablets can be ground into a white powder for snorting leads to names like ‘salt’ and ‘sugar’. The first letter of the word ‘morphine’ has led to names like Miss Emma and Aunt Emma, referencing the sound the letter ‘M’ makes. Then there are some street names that have nothing to do with appearance or the drug’s original name at all. Rather, they are names that describe the effects of the drug. They include ‘mister blue’, ‘morpho’, ‘dreamer’, and ‘God’s drug’. The causes of morphine abuse include genetic, brain structure, and environmental factors. Risk factors associated with the potential for morphine abuse are much broader. While medical science has not pinpointed all the risk factors, we know enough about morphine abuse to know that some people present a greater risk than others. One of the more well-known risk factors is family history. Individuals with a family history of substance abuse are more likely to abuse morphine if introduced to the drug through a legitimate prescription. Another risk factor is chronic pain. Those experiencing chronic pain are more willing to use morphine or other opiates for extended periods of time – just as long as these offer significant pain relief. This suggests that people suffering from osteoarthritis, musculoskeletal injuries, and other conditions resulting in chronic pain are more likely to seek out multiple morphine prescriptions. They are more willing to doctor shop if that is what it takes to keep the supply of morphine flowing. Genetics – Individuals with close relatives with a history of morphine use disorder are more likely to develop the same disorder themselves. They are also more likely to use or abuse other opiates as well. This suggests a genetic link that may pass a predisposition to opioid abuse down through multiple generations. Brain Response – The pleasure centres of the brain are very powerful influencers. 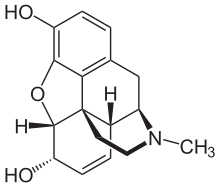 In some people, the amount of pleasure derived from morphine use may be a result of how the brain responds to certain chemicals. The combination of brain response and naturally occurring opioids in the brain may produce heightened feelings of pleasure that others do not experience when using morphine. This could lead to abuse in some people. Environmental Factors – We can never rule out the influence of environmental factors in drug abuse. This is certainly true for morphine use. There are those who use the drug recreationally as a way of escaping whatever is troubling them. This can create psychological dependence, which ultimately leads the user to keep taking morphine despite knowing the dangers of doing so. We have learned a lot about morphine and other opiates over the last few decades. Unfortunately, there is a lot about the drug we still do not know. There could be other causes and risk factors medical science just hasn’t uncovered yet. At any rate, morphine abuse can lead to dependence and addiction if it is not dealt with in time. More than half of the accidental drug-related deaths reported in 1999 were linked to morphine or heroin. The UK joined with the US and just six other countries to account for 93% of all morphine consumed in 2010. Among all drug-related deaths in England and Wales between 2000 and 2004, nearly 5,000 were in some way related to opiates. Roughly 10% of the US population has admitted to abusing an opiate at least once. The number of people given morphine prescriptions in Australia increased by 89% between 1995 and 2003. Approximately 30% of individuals who inject morphine admit to some level of addiction. It is clear from the statistics that morphine is being used beyond its originally intended scope. This constitutes abuse by any measure. Moreover, morphine abuse is a global problem; it is not confined to the UK and the US. If you are using morphine in any way other than under the direct supervision of a doctor, you are abusing the drug. We encourage you to get medical help to bring an end to that abuse. Help is available across the UK; we can help you take advantage of it. A case of co-occurring disorders presents doctors with a more difficult problem to treat. The primary concern is one of treating both disorders without making one of them worse. As such, doctors first try to figure out if one disorder led to the other. If so, treating the original disorder will sometimes have a positive impact on the other. In cases where it is impossible to decide if one disorder led to the other, doctors have to treat both as best they can. Not every drug rehab clinic has the capacity to do so. Co-occurring disorders are always more challenging to treat, and they require highly trained clinicians who truly understand the root causes of both disorders. Medical professionals advise never mixing morphine with any other drugs. This includes alcohol. Morphine already has a significant ability to induce sedation and mixing it with alcohol only enhances the sedative effects. This could end up having dangerous consequences. For example, consider the reduced respiration associated with morphine use. A person already experiencing shallow breathing after taking morphine may find it even more difficult to breathe once alcohol is introduced to the mix. Respiratory distress and eventual loss of consciousness are very real risks. A person could lapse into a coma, suffer brain damage, and never come out of it. Never combine morphine with other opioid drugs like OxyContin or fentanyl. Do not use morphine as a drug to enhance the effects of benzodiazepines. In fact, do not mix morphine with any other substance. The risks are just too high. If you are taking morphine under the supervision of a doctor, make sure that the doctor is aware of any other medications you are taking. Morphine addiction outside of clinical supervision is becoming more common as time passes. As long as you are using the drug under the care of a doctor, you are at low risk for addiction. As soon as you start taking it outside of that supervision though, your risk of abuse and eventual addiction increases. Avoid using morphine recreationally at all costs. You should know that modern medical science defines dependence and addiction differently. Though the terms are used interchangeably, they are distinctly different. Dependence is a scenario in which the body becomes physically dependent on morphine for routine functioning. Psychological dependence occurs when a person believes he or she must have the drug in order to get by. Addiction, while an extension of dependence, is distinctly different. Addiction is a scenario under which the morphine user continues using the drug out of compulsion. He or she cannot stop using despite knowing the dangers of continuing. If you are morphine-dependent, you may not necessarily be addicted. But if you are addicted, you are also physically and psychologically dependent. There are a number of possible treatments available for morphine addiction. They all follow the same three-step process that begins with detox, then moves to rehabilitative therapy, and finishes with aftercare. Below are brief introductions to each step. Detox – The first step is always detox. Patients are treated in a controlled and medically-assisted environment in order to maintain patient health and safety. Rehabilitative Therapy – The rehabilitative therapy that follows detox is intended to get to the root causes of addictive behaviour from a psychological standpoint. 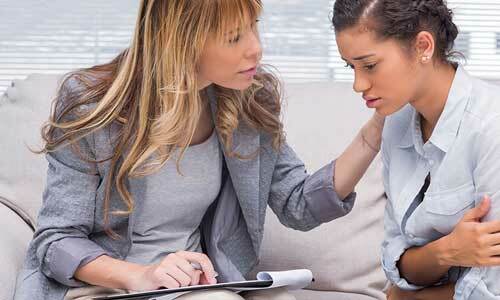 It includes a number of different therapies, mostly based in counselling. Aftercare – Completing a detox and rehab programme does not mean the recovering addict is completely out of the woods. In the weeks and months after formal treatment has concluded, the individual may face circumstances that would encourage a return to morphine. Aftercare services are designed to prevent this. If you are suffering from morphine addiction yourself, you can seek out treatment in several different ways. You can start by making an appointment to see your GP to discuss your problem. 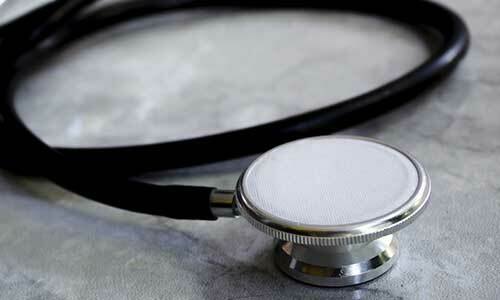 Your GP would evaluate your situation before recommending a course of treatment. You may be referred to a detox programme, or your doctor may encourage you to join a local support group and seek out counselling. Outpatient Treatment – This is a medical treatment received at a local clinic under the supervision of doctors and nurses. You would attend the local clinic on a regular basis, receive your treatments, and then return home at the end of the day. You may need to be admitted to a hospital to get through the detox portion. Residential Treatment – This is a medical treatment received in a residential facility where you would live for the duration of your treatment. The residential facility handles detox and rehab in a safe and comfortable environment free of distraction. Residential treatment takes place in groups, so you would be in the company of others going through the same treatment along with you. Residential treatment follows up on detox with several weeks of rehabilitative therapies. Some of these therapies involve one-on-one counselling while others utilise the group support and counselling model. Patients are likely to undergo some form of 12-step work as well. Finally, patients work on building life skills that will prepare them to integrate back into society upon leaving the residential facility. Detoxing from morphine is an essential part of full and complete recovery. Experts recommend not trying to detox on your own due to the fact that withdrawal symptoms can be very serious. In some cases, detox can even be life-threatening. Our rehab centres utilise a medically-assisted and medically-supervised detox programme. Looking to one of our facilities for help guarantees that you will be properly looked after during detox. Once detox is completed, you will be enrolled in a rehabilitative therapy programme. 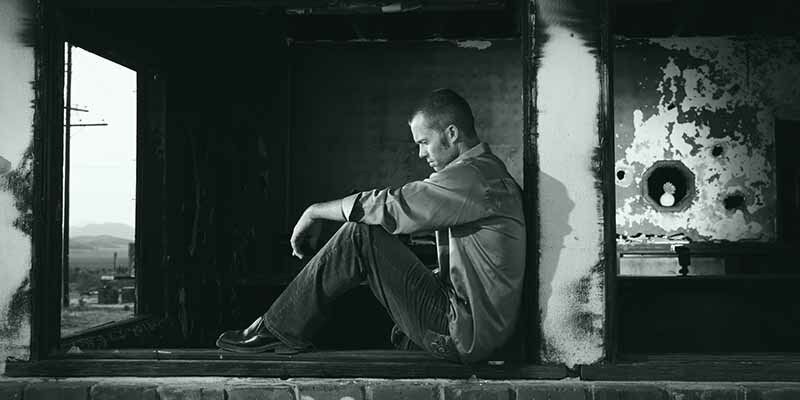 Withdrawal is an unavoidable part of morphine detox. Symptoms generally start within 6 to 12 hours of the last dose. Because withdrawal symptoms can be severe, patients are monitored around-the-clock by trained professionals. Prescription medications are used, when appropriate, to help control withdrawal symptoms and ensure safety. Throughout the entire withdrawal process, patients are made as comfortable as possible. Many patients ask if it is absolutely necessary to go on to rehab following detox. Technically speaking, no. But completely recovering from morphine addiction is extremely difficult if a person chooses not to take part in rehab. The reason for this is quite simple: detox addresses the physical dependence on morphine; rehab addresses psychological dependence and the root causes of addictive behaviour. Avoiding rehab after detox is akin to only seeking partial treatment. 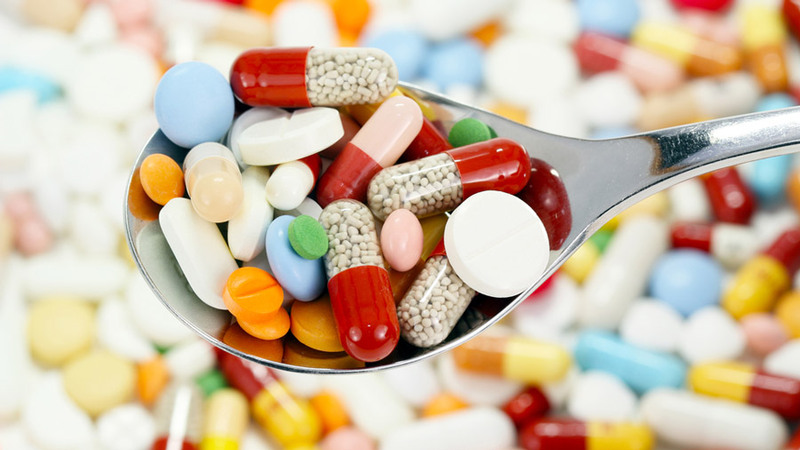 Can misuse of these OTC medicines lead to addiction? 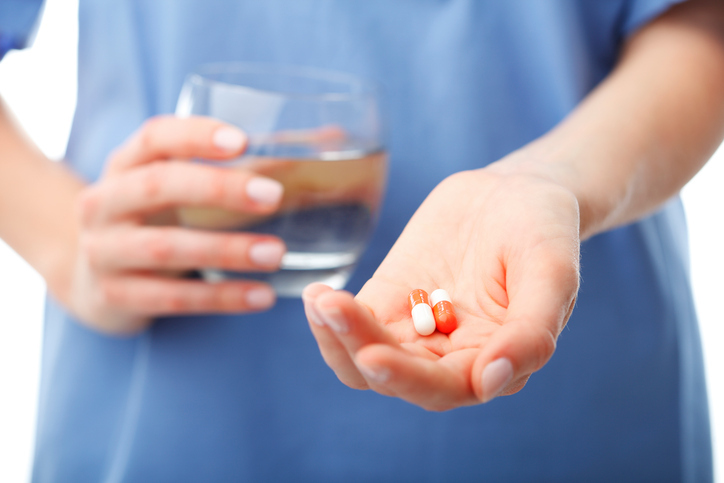 Yes, misuse of over-the-counter medications can lead to both abuse and addiction. Morphine addiction is rare in clinical settings because patients are strictly monitored by doctors and nurses. And even when patients use prescribed morphine at home, addiction is rare as long as the drug is used as directed. Abuse and addiction become problems when a person uses morphine in any way other than as directed by a doctor. How can these OTC medicine overdoses be treated? Overdoses are generally treated by either counteracting the effects of the drug in question or preventing further absorption. In the case of morphine, a drug known as naloxone has proven effective at reversing its effects – as long as it is administered during the early stages of overdose. When administering naloxone is not an option, another possible treatment is administering activated charcoal. This will prevent any further absorption of morphine by the body. Then it is a matter of waiting until the effects of the morphine wear off. Whether naloxone or activated charcoal are used, medical personnel will keep a close eye on respiration and heart rate. Further intervention may be required to prevent respiratory or cardiac arrest. How can I spot morphine addiction? The best way to spot a possible morphine addiction is to look for some of the tell-tale signs exhibited by someone you know who is using the drug. For example, a morphine addict will continually shop around for new prescriptions among multiple doctors. That person might also look for opportunities to buy morphine online or on the street. You can also look for a variety of physical and social signs. A morphine addict will demonstrate periods of confusion, lethargy, and even loss of consciousness. The person is likely to withdraw from personal relationships, avoid social contact, and have trouble keeping up at work or school. Finally, a morphine addict will spend an inordinate amount of time and money attempting to secure more of the drug. What is the goal of morphine addiction treatment? Clinics pursue a number of different goals with morphine addiction treatment. The first goal is to prevent any further damage to health by breaking the physical dependence on the drug. Once physical dependence has been addressed, the body can begin the process of healing itself. The second goal of addressing psychological dependence follows. The third goal is to utilise rehabilitative therapies to help recovering patients understand their addictive behaviours. The point here is to help them better understand their own tendencies so that strategies for avoiding relapse can be implemented. That takes us to the fourth and final goal of aftercare. Aftercare picks up where detox and rehab leave off. The primary goal of aftercare is to prevent relapse within that first year following formal treatment. Successfully doing so greatly increases the chances of permanent recovery. How bad is morphine addiction? Determining how bad an addiction might be is an exercise in relative judgement. Be that as it may, morphine addiction does include some fairly serious consequences. In that respect, morphine addiction is bad. How to cure morphine addiction? Like any other addiction, the only true cure for morphine addiction is permanent abstinence. Detox, rehab, and aftercare are all designed to achieve permanent abstinence. Whether or not a patient succeeds depends on how he or she responds to treatment. In some cases, permanent abstinence is achieved on the first try. In other cases, though, the patient has to undergo treatment multiple times before being cured. How to help someone who is addicted to morphine? First and foremost, do not enable the person. In other words, do not help him or her continue feeding the addiction. Don't make excuses, do not provide the funds, etc. Next, you can help by continually showing the addict the proper amount of love and support. You can do this without enabling. Let the person know that you are there and available should he or she decide to seek treatment. Express your willingness to help find the right treatment.